Well none of this is news now, but I am trying to get back in the habit of writing these things up. I was fortunate enough to be invited to this recent event; the tasting of Diego’s annual ‘best of the best’ – from an expected Lagavulin and Port Ellen, to a less expected Cambus 40yo. With retail prices ranging from under £100 to close to £2,500, some of this stuff is very special indeed, and this was an opportunity not to be turned down. With fancy invite in hand, I headed off to 1 Marylebone Road, London to see what the fuss was about. I, alongside several thousand other whisky buyers, now have hands on Ardbog. 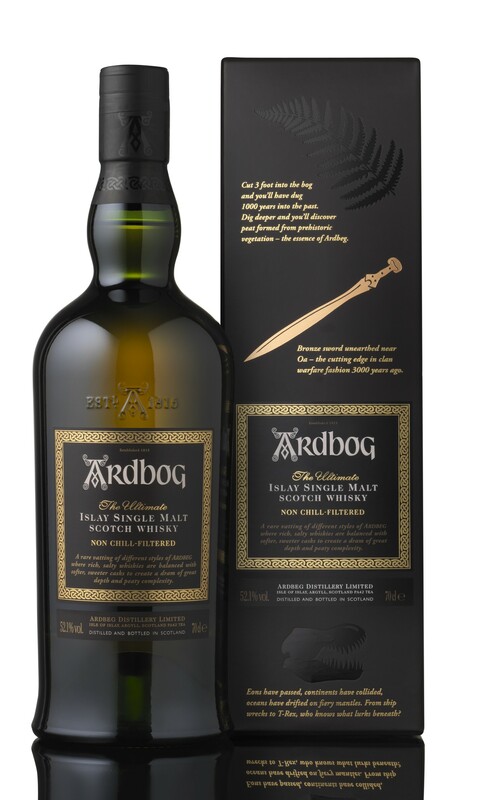 Ardbeg’s latest ‘limited’ release. It was bottled to celebrate Ardbog Day 2013, and celebrate their “peaty roots in the marshy wetlands of Islay; where Ardbeg’s smoky sweetness has been intriguingly interwoven with salty, savoury whiskies which have slumbered undisturbed in rare ex-Manzanilla sherry casks, all for at least ten long years”. All very good of course, and packaged and promoted to the usual high-styandards you’d expect of a popular distillery owned by Louis Vuitton Moët Hennessy.. The first real tasting of 2013 was almost a miss for me as the day job seems to encroach on this valentine’s evening. However, all worked out, and being the old romantic that I am, I let the wife stay at home whilst I headed to Skipton. This tasting was Diagio – The Distiller’s Edition range. Hosted by the extremely entertaining Colin Dunn, I can say it’s one of the best tastings I’ve attended.